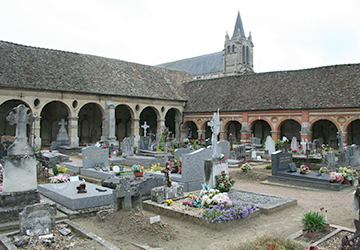 It is certainly one of the most strange cemeteries in France. This inscription invites the visitors to pray God for the dead, keeping in mind that they are exactly like the deceased: alive one day and dead the next one, thus highlighting the impermanence of life. 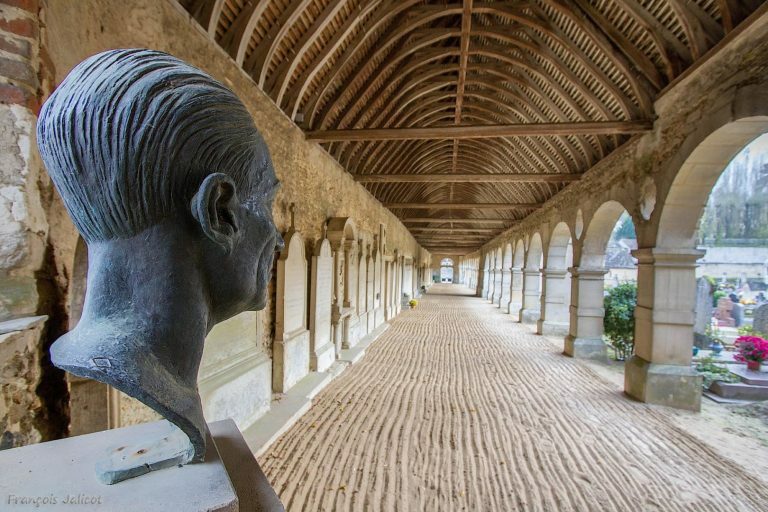 What is unique about this site is its architecture: indeed, it is a cemetery that looks like a cloister. Thus, the south arcade is composed of brick pillars with spandrels. A spandrel is a triangular space between the exterior curve of an arch and a rectangular frame enclosing it. In this cemetery, the spandrels you can find on the pillars of the south arcade are decorated with one ovolo and three skulls placed in cavities designed for that purpose. Similarly, in the gallery, some joists were used to support boards on which the bones of the deceased were placed after being deposited in the charnel house. The south gallery and the north chapel were erected in the XVIth century. Where the east and north galleries meet, there is a curved opening which also dates back to the XVIth century and was blocked up after raising the level of St Nicolas Street. 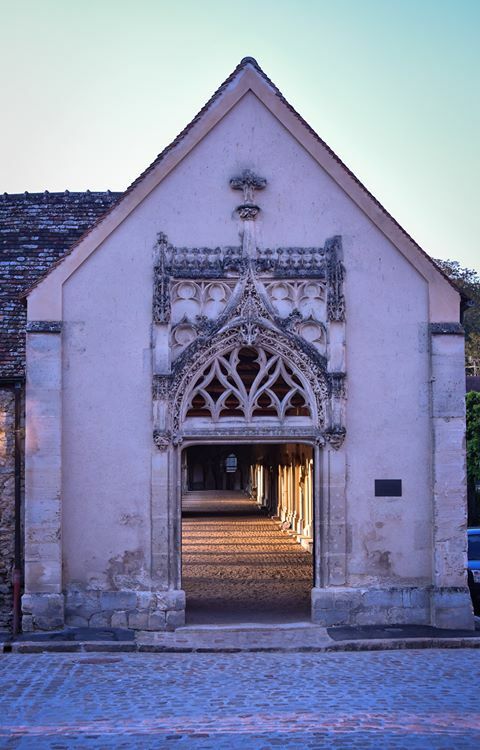 The beautiful cemetery Gothic door is similar to that of the tower of Anne of Brittany. Indeed, both the cemetery and the tower have probably been designed by the same architects. Listed as a historic monument since 1875, this cemetery is used today as the village cemetery.